At 3d Health & Fitness we are helping our customers make the most out of their workout. MyZone is an advanced chest strap and observance system that transmits your vital signs, calories and energy in real time to a monitoring system and wirelessly uploads that knowledge to a book which will be accessed on line or through the free MyZone App. The device collects knowledge to the good thing about physical activity stakeholders, and permits health & fitness professionals to remain connected with their users. It’s the sole exercise training system in the world that’s able to give periodic feedback of exercise intensity in addition to wirelessly transfering exercise data, creating straightforward and convenient technology for everybody to use. 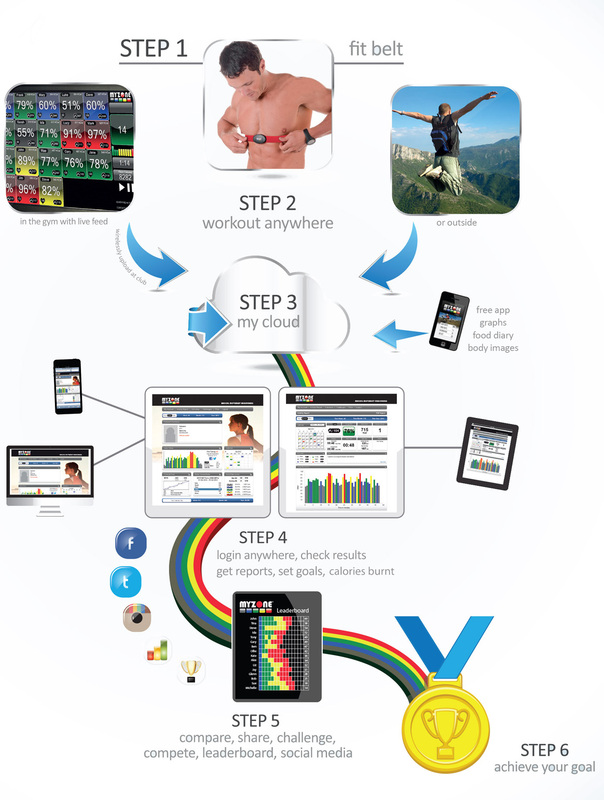 MyZone belts have been updated with the introduction of the MZ3 which downloads data directly to your phone. A Myzone Sports Bra is also now available which means you no longer need to wear your Myzone Belt. Please ask a member of the team for details.